Jim Shively was born on March 23, 1942, in Wheeler City, Texas. He entered the U.S. Air Force Academy on June 27, 1960, and was commissioned a 2d Lt in the U.S. Air Force on June 3, 1964. Lt Shively received an Air Force Institute of Technology assignment to complete his Master's degree in International Relations at Georgetown University in Washington, D.C., from June 1964 to March 1965, and then completed Undergraduate Pilot Training and was awarded his pilot wings at Williams AFB, Arizona, in March 1966. 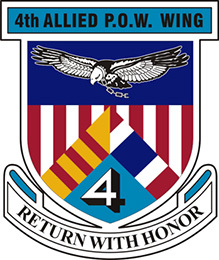 After completing F-105 Thunderchief Combat Crew Training, Lt Shively served as an F-105 pilot with the 357th Tactical Fighter Squadron at Takhli Royal Thai AFB, Thailand, from December 1966 until he was forced to eject over North Vietnam and was taken as a Prisoner of War on May 5, 1967. He spent 2,117 days in captivity before being released during Operation Homecoming on February 18, 1973. Capt Shively was briefly hospitalized to recover from his injuries at Travis AFB, California, and then served as an Operations Officer with the 3636th Combat Crew Training Wing at Fairchild AFB, Washington, from January 1974 until he left active duty on June 3, 1974. After leaving the Air Force, Jim served as a U.S. Attorney in Washington until retiring in 2004. He died on February 18, 2006, and was buried at the Pines Cemetery in Spokane, Washington. 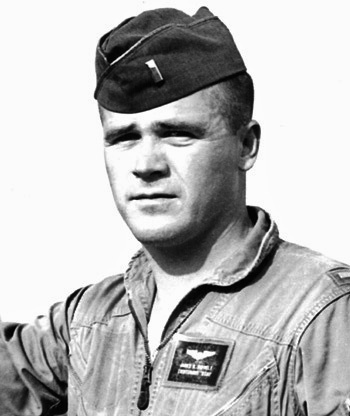 First Lieutenant James R. Shively distinguished himself by gallantry in connection with military operations against an opposing armed force as an F-105 Pilot near Hanoi, North Vietnam on 5 May 1967. On that date, while under intense and accurate fire from unfriendly forces, Lieutenant Shively demonstrated courage, undaunted determination, and superior skill in pressing home devastating air attacks against hostile positions. Persevering in the face of danger, he relentlessly and effectively aided in neutralizing the hostile forces. 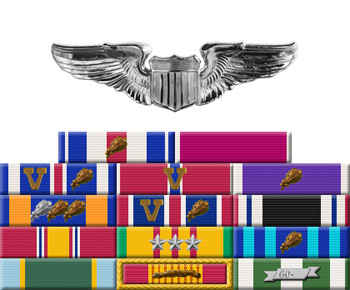 By his gallantry and devotion to duty, Lieutenant Shively has reflected great credit upon himself and the United States Air Force.